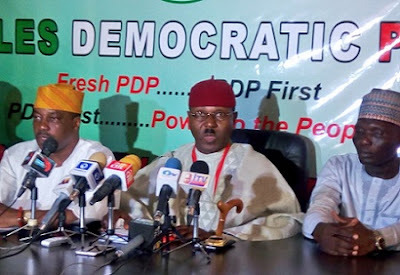 The crises rocking the Peoples Democratic Party (PDP) has reached a new level with the EMERGENCE of a parallel faction, whose members are loyalists of one of the chairmanship candidates in the recently concluded convention of the party. Led by Emmanuel Nwosu, the group which referred to itself as Fresh PDP, is calling for the nullification of the party’s convention held on December 9. Briefing newsmen at the party’s secretariat located in Asokoro, Nwosu said the process leading to the emergence of the Uche Secondus-led National Working Committee was fraught with illegality and abuse of electoral process. The slogan of the new group is Fresh PDP… PDP First. Lobatan!